It's a big pot payday. Dispensaries in Oregon sold $10.8 million worth of recreational pot in the first six days it was legal, said the Oregon Retailers of Cannabis Association. 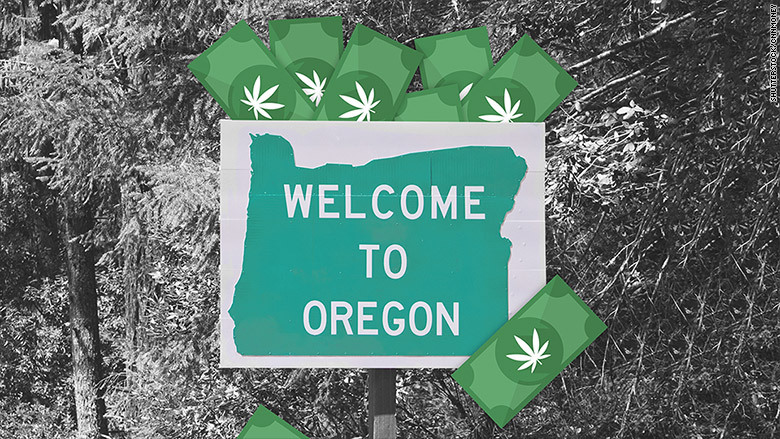 Recreational sales became legal in Oregon on October 1, and the association has only tallied revenue through October 6. Based on the first week of sales, a spokesperson for the retail group projected that tax revenue collected in 2016 would "wildly surpass" the state's projections. Oregon joined Colorado and Washington to become the third state to sell pot for non-medicinal purposes. Customers can buy one-quarter ounce per day, but seed sales are unlimited. Growing and using marijuana for recreational purposes was legalized on July 1. The retailers association is the only group that can track recreational marijuana sales made through December 31. That's because it's being sold tax-free in the state until the end of the year. Eventually the Oregon Liquor Control Commission will track these sales, but that won't happen until the commission begins issuing its own licenses sometime next year. That agency estimates that Oregon will bring in $10.7 million in tax revenue by 2017.